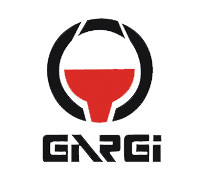 Gargi business units have the skills and resources to provide a complete specialist service. This capability can also be combined to deliver integrated solutions to meet complex customer needs. 203, Vasant Vihar Complex, Dr. C. Gidwani Road, Chembur, Mumbai - 400074. Maharashtra. India. GARGI H�TTENES-ALBERTUS EMIRATES L.L.C. F.Z.C. P.O. Box 1361, Fujairah Free Zone Phase 2, Fujairah, United Arad Emirates. 2, Mercantile Apartments, Dr. C. Gidwani Road, Chembur, Mumbai - 400074. Maharashtra. India. 205, Vasant Vihar Complex, Dr. C. Gidwani Road, Chembur, Mumbai - 400074. Maharashtra. India.